If you and your child are ready to permanently say “goodbye” to diapers… and if you’re looking for a fast, fun, and tantrum-free way to do it… then welcome! The first thing I want you to do? Forget everything you thought you knew about potty training! It doesn’t have to be a long, frustrating, traumatic experience filled with embarrassing “accidents” in public places. Has “It” Happened To You Yet? The daily chore of wiping stinky, poopy messes from your child’s bottom. The never-ending piles of laundry caused by leaky disposables… or the mountains of dirty cloth diapers! The temper tantrums or crying from your toddler every time you change a diaper. Those nasty “blowouts” — when you find yourself wiping poop from halfway up your child’s back, wondering where on earth it all came from! You’ve decided that you’re ready to start potty training your child. But you’ve also heard the “horror stories” from friends, family, or online parenting forums about what a nightmare the process can be! And it’s true: Getting your toddler out of diapers can involve a lot of screaming, crying, humiliation, and temper tantrums. But it doesn’t have to — and I’m about to show you a much, much better way! Introducing A MUCH Better Way To Potty Train! If you’d like to skip the usual headaches and stress that most parents associate with potty training, then you’re going to love this: The “No-Sweat Potty Training” System! Instead, your little one can be diaper-free in just one memorable and (yes!) fun-filled day! My name is Dana Obleman, and I’m the author of several best-selling parenting guides, including The Sleep Sense Program, The Food Sense Program, and Kids: The Manual. These no-nonsense titles have already helped more than 30,000 parents like you solve some of their biggest parenting challenges. In other words, children have been at the very center of my personal and professional life for a long, long time! But what’s MOST important is that the strategies you’ll get with “No-Sweat Potty Training” just plain work — and they actually make potty training fun… for you and for your child! 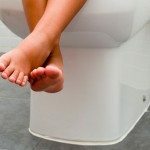 One of the reasons why the “No-Sweat Potty Training” system works so well (and so quickly) is that you’ll actually be doing a lot of the “work” before you even tell your child that potty training has begun! The casual comments you should make while changing your child’s diapers… BEFORE you start the potty training process! The RIGHT WAY to introduce your child to the toilet… before you ever start potty training! How to encourage older siblings to be thrilled with the responsibility of teaching a younger sibling where to go! How letting your child do little things like dress herself (even if the clothes don’t match or the pants go on backwards) will help with potty training! The #1 thing you must do the night before you start potty training. It’s an easy — and hugely important — step, but skipping it can sabotage the rest of the process! So what exactly do I mean when I say your child will be diaper-free in just one day? This is a very special day for both you and your child — and you should make a big deal about it! Tell your child how proud you are… and that Training Day is going to be all about him! While some children will “get it” right away and have dry diapers after the first night, most will take longer. Weeks, even a few months, of wet diapers in the morning are not uncommon. Should You Bribe Your Child To Use The Potty? One of the biggest debates about potty training is the question of whether or not to use rewards as an incentive. Well, I’m a BIG believer in rewards for potty training! After all, we’re trying to make this process fun, right? And what’s more fun for a child than being rewarded for doing something new and “grown up”? How to use “potty dialogue” to reinforce your child’s new habits! Like I mentioned, you aren’t going to be using these rewards for long… because the “No-Sweat Potty Training” system is all about moving quickly from one step to the next! Dealing with a toddler’s poopy diapers is no fun. We won’t mention this to your child, but let’s be honest… it’s a pretty disgusting job! But you know what’s just as nasty? Dealing with a training potty! … and everything else you’ll need to make the transition from training potty to the “big toilet” as quick and comfortable as possible for your child! Even though “No-Sweat Potty Training” will eliminate the need for daytime diapers in just one day, that doesn’t mean that accidents won’t happen! They will, and you’ll need to know how to respond when they do! And because I want this to be the ONLY potty training resource you’ll ever need, I’ve made sure to include a big section on the problems you might face and how to deal with them. What kind of accidents to deal with right away – and which ones you might want to ignore for a few minutes. How to recognize the signs of constipation and what to do about it. For You AND For Your Child! Earlier on this page, I promised you that the “No-Sweat Potty Training” system would be fast and easy. But I also promised you that it would FUN for your child… and that it would be the ONLY potty training resource you’ll ever need. That’s why I’m including a bunch of valuable bonuses — at absolutely no cost to you! As with most things, the keys to your potty-training success are going to be good preparation and follow-through. That’s why I’ve put together this super-simple “fill-in-the-blanks” Fast Start Guide that contains checklists, charts, and tips to make sure that your Training Day goes as smoothly as possible. Daily “check-in” sheets to help chart your child’s success. and Training Charts For Your Child! Again, these are all designed to make the potty training experience interactive and FUN for both you and your child! They’re not available separately, but are yours FREE! The differences between potty training boys and girls. Why some children struggle with bowel movements, and what you should do about it. My tips and tricks to encouraging dry nights. The three most common potty training pitfalls – and how to deal with them. This video resource library is included at absolutely no extra cost to you! As you can see, I really *have* included everything you need to make potty training your little one a fast, fun, and tantrum-free experience! You not only get the “No-Sweat Potty Training” book (55 pages of no-nonsense, step-by-step instructions), but you also get all three great bonuses (the 28-page “Fast-Start” guide, the collection of 20 charts, coupons, and certificates, plus the complete video library) at no extra cost! Back in the 1950s (BEFORE the invention of disposable diapers or washing machines), the average age for potty training a child was 18 months. Not surprising, since mothers were understandably anxious to stop hand-washing poopy cloth diapers! Today, just about EVERYONE uses disposables. It’s estimated that there are $20 BILLION worth of disposables sold every year. In fact, disposable diapers are SO easy and convenient that the average age for potty training is now 30 months! For less than the price of one more case of diapers, you can get absolutely everything you and your child need to say “Goodbye” to diapers permanently — all for just one payment of $39! And not only do you get the complete “No-Sweat Potty Training” system (including no-cost bonuses) – you also get the total protection of my “No Hassle” guarantee! If at any time in the next 12 months (and for any reason at all) you decide that you’re not completely satisfied with the “No-Sweat Potty Training” system, just let me know via e-mail (custserv@nosweatpottytraining.com) or by telephone (206 923-9489) and I’ll promptly and politely refund your payment with no questions asked. Period. That’s as fair a guarantee as you’ll ever find, and it’s the same one I’ve confidently offered on ALL my products for the past 8 years. 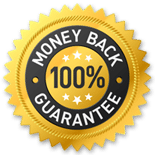 I’m able to offer this guarantee to you because my methods just plain work! Here’s How To Get Started — Instantly! You can get started with the complete “No-Sweat Potty Training” system right now — because everything is accessed online via the Internet! … and you get everything for just one easy payment of $39! Remember, you get instant access to everything as soon as your order is completed. P.S. Even though you’re reading this on the Internet, don’t forget that I’m a real person! You can contact me with any questions you might have by calling (206) 923-9489 or by e-mailing dana@nosweatpottytraining.com. P.P.S. One of the most common questions I get asked: When is “too soon” to start potty training my child? Your child should be able to get around independently (walk from room to room) and have the motor skills to pick up and put down everyday objects. Your child should be able to understand and follow basic instructions. If you say “Please go get your toy and put it in the basket” and your child is able to do it, you’re good to go! Some parents are reluctant to start “too soon,” but the truth of the matter is that most children are physically ready much earlier than we parents think! And the longer we leave our children in diapers, the more “used to it” they can get — making the process of potty training MORE difficult the longer you wait!